New York celebrated the passing of their gruesome abortion law by lighting the sky pink, boasting at their newfound ability to murder fully grown babies. Things looked bleak in New York, as pro-lifers stood by helplessly as death was celebrated across the city. But pro-lifers are fighting back in a major way and they’ve got an incredible public display of their own planned that will light up New York in an unprecedented manner. Refusing to sit back in silence as the murder of unborn babies is celebrated, a massive pro-life event is taking place in Times Square, which will prove once and for all that an unborn baby is a human life that must be protected. Called appropriately “Live from New York”, this pro-life event will actually feature a live ultrasound from a pregnant mom in her third trimester! Even more amazing, this ultrasound will be broadcasted on the jumbotron screens for the entire city to see the beauty (and reality) of an unborn baby. The event is being hosted by Focus on the Family, and their president Jim Daly sat down with LifeSite News to share his heart behind the event. 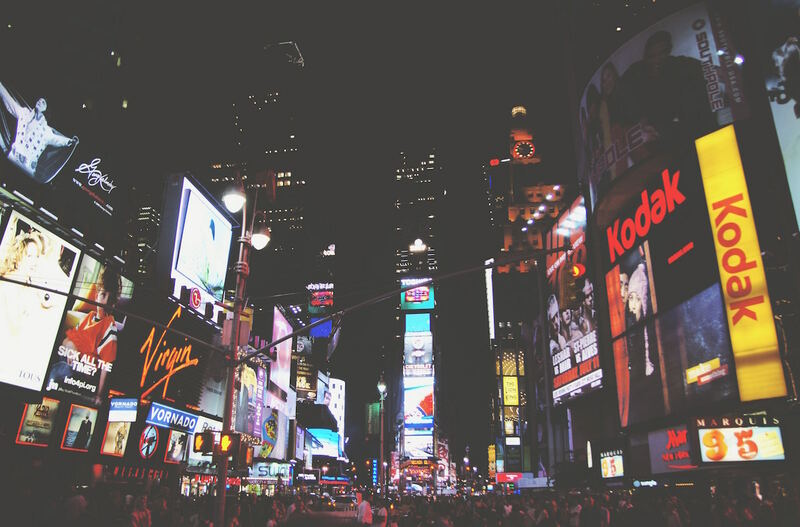 “Times Square is known as “The Crossroads of the World” and we’re at a crossroad as a nation regarding life. Do we really want to be part of the Abortion Axis of Evil – like China, North Korea and Vietnam that allows abortion for any reason after 20 weeks? You see, pro-aborts try and keep women in the dark and discourage them from getting ultrasounds. Many scared pregnant women get abortions without ever seeing what their unborn baby looks like. After all, abortion workers know some women will choose life if they can see the kicking living image growing inside their womb. But now thanks to brave pro-lifers, New Yorkers can no longer be without excuse. Politicians will be forced to defend their celebration of murdering a fully-grown baby. Women who may have never seen an ultrasound will get the chance to see one live, some for the first time. And hopefully, women who are pregnant and scared will be encouraged to choose life after seeing what a baby looks like. Abortion clinics thrive in secrecy and darkness. But on May 4th, Times Square will shine its own light of beauty and life to combat the darkness encompassing New York City. Consider taking your family to New York City to be a part of this historic event! In addition to the broadcasted ultrasound, there will be pro-life speakers and other activities scheduled. Mommy Underground will keep you posted on updates as the event draws near. What are your thoughts on showing a live ultrasound from the jumbotron screens in New York City? Do you think women will see this image and choose life instead of abortion?